HTML5, CSS3, & XHTML Web Porfolio of Skylar Design (Justin Agoglia). I am a huge fan of Restaurant Impossible. Why? Chef Irvine not only creates beautiful settings, but he offers something every human desires: hope. Redesigning websites is more than creating a new look, it’s about providing hope for those who lost it a long time ago! 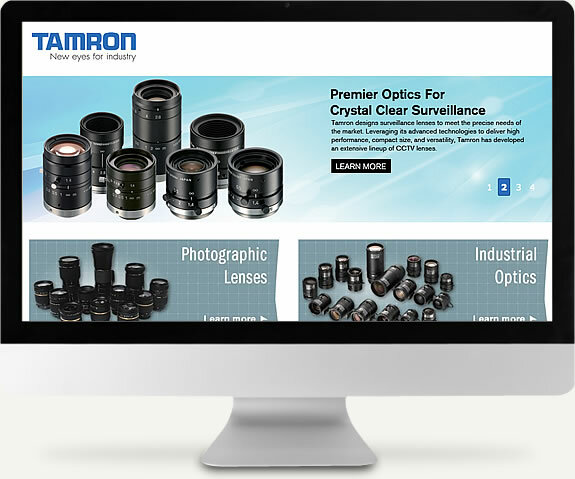 Considered the largest camera lens manufacturer in the world, I've had the pleasure of working with the Tamron Marketing team for several years now to develop at least three redesigns, improve their search engine optimization (SEO) positioning, and create specific solutions as their client needs grow each year. As a writer, author, and actress, Dr. Salzano not only needed a place to call home but a place where agents and publishing companies could find her. So search engine positioning was a key objective to this project. 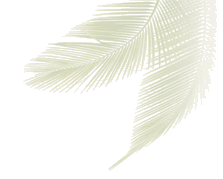 Since the launch of her site, she has and continues to do very well within the search engines. As speaker and author, Dr. Stanko travels the world helping individuals, organizations, and entire communities discover their life purpose. Because of his global presence, it was essential his website load fast on slow Internet connections. So every aspect of this project had to factor in the size of each image and the code used to run his site. 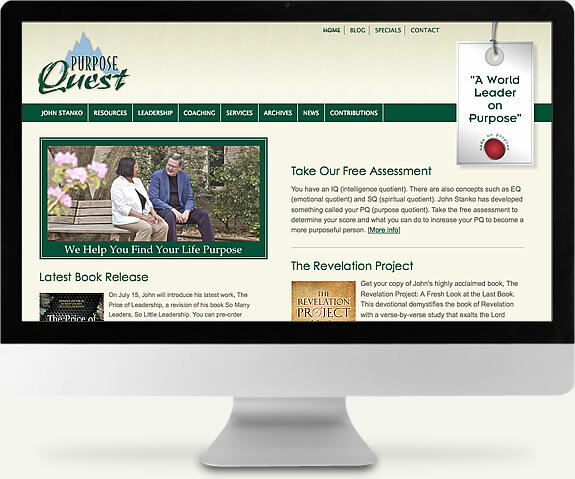 I'm touched when I hear stories of how many access the PurposeQuest site on a weekly basis. 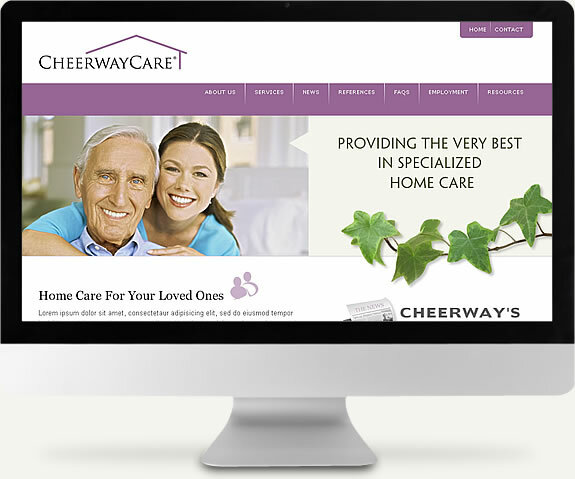 Since Cheerway provides specialized home care services to senior adults, their brand had to reflect the professional services they provide to the senior population. This project needed more than a revamping of their website. From their logo, collaterial materials, and online presence, Cheerway Care went through an entire rebranding process. With traumatic brain injuries (TBI) on the rise, the demand for specialized treatment has also increased. 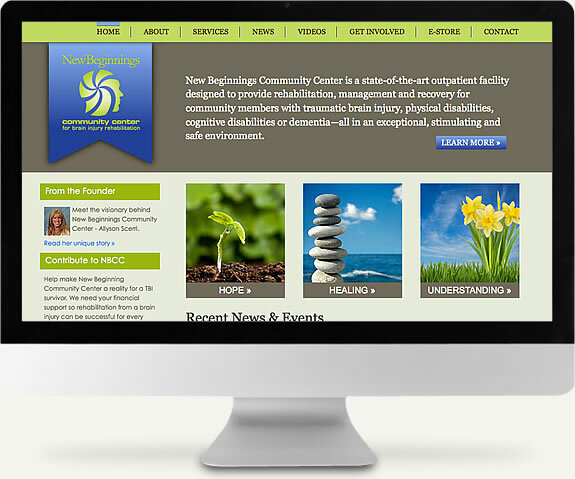 The New Beginnings center is the first of its kind on Long Island. Their website has been a large part of their marketing as this grassroots organization seeks to raise funds to treat those dealing with TBI challenges and provide the needed support for their loved ones.